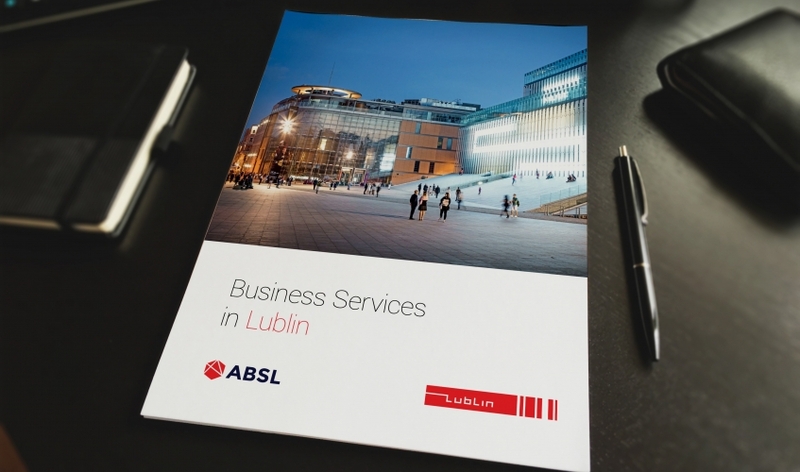 The Association of Business Service Leaders (ABSL), in cooperation with JLL and Randstad, has prepared a report describing the sector of modern business services in Lublin. The study, which analyses selected aspects of the labour market, office real estate market and investor support forms, shows the city's extraordinary potential as a BSS centre. The largest organisation of BSS companies, ABSL, has undertaken a thorough investigation of the BSS sector in Lublin in recent months. Together with partners - global consulting firms Jones Lang LaSalle (JLL) and Randstad Polska - a report has been created, which is a compendium of knowledge on the Lublin BSS sector. It shows Lublin as the industry leader in Eastern Poland and one of the largest BSS centres in Poland. It points to the large scale and dynamics of positive changes that have taken place in Lublin over the past few years - including the excellent cooperation between city, companies and universities, which results in a friendly climate for doing business in the city. Also, the situation on the labour and office real estate markets is found advantageous for the location of further shared service centres in Lublin. Thanks to this conclusions, the report makes it possible to look to the future of the development of the BSS industry in Lublin with optimism. You can find the full ABSL Report on our SlideShare here or on ABSL site. Have a nice reading! The Association of Business Service Leaders (ABSL) is the leading organisation representing the business services sector in Poland. Given the current business, economic & political opportunities, this sector, in particular, can propel and position Poland to be the global leader. Today, Poland has become one of the leading destinations on the global business services map, with more than 200,000 people employed in the sector. Thus, at the current growth rate, this industry is on its way to become the country’s largest source of private-sector jobs.